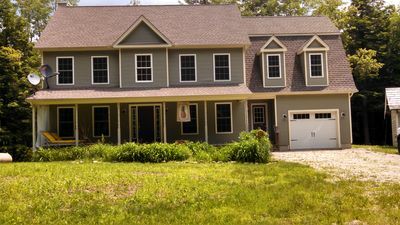 This is a beautiful modern home with three sliding glass doors on the main floor so you feel as if you are outdoors. 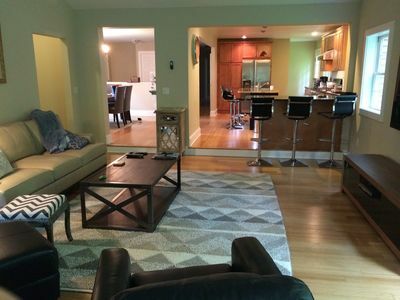 There is an open kitchen, dining and living area with cathedral ceilings, a master bedroom (Queen bed) suite/2 room bath and washer/dryer all on the first floor. 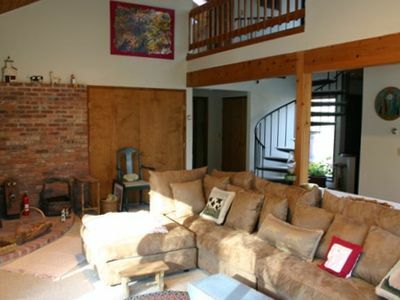 There is a gas stove on a brick hearth, tile floors and carpeting. 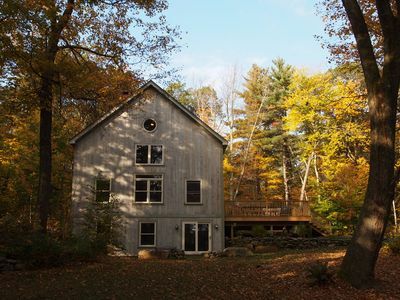 Up the spiral staircase, there is a large bedroom (Queen bed) with four skylights, so you can see the stars and moon; and another bedroom with a cathedral ceiling and twin beds. 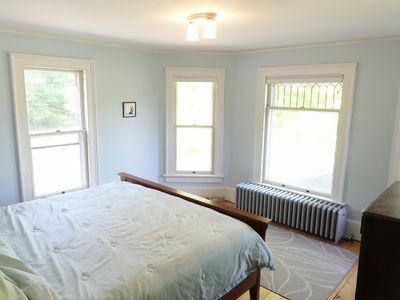 There is also a full bath on the second floor. 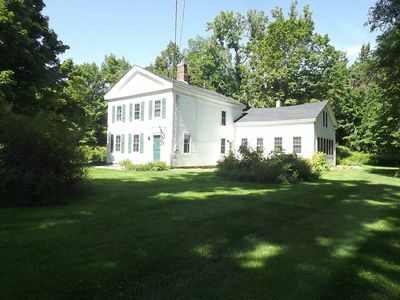 The house is beautifully decorated with American and English antiques. 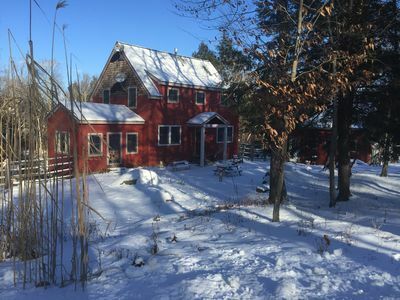 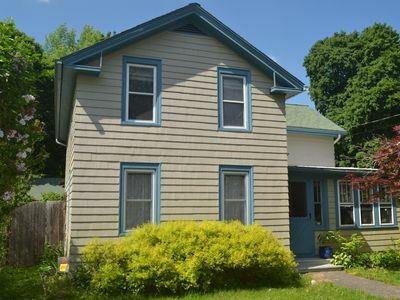 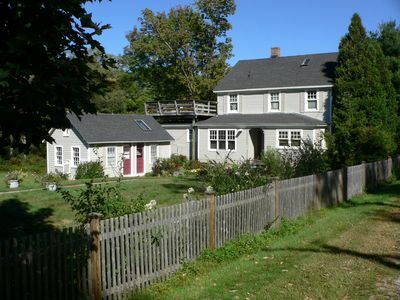 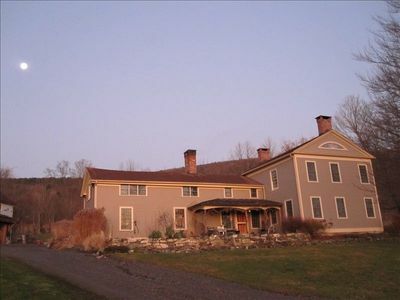 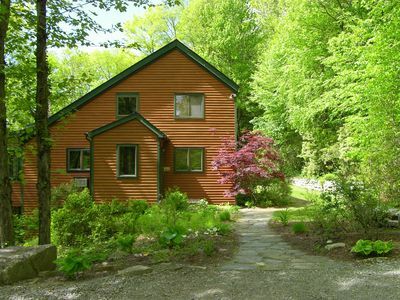 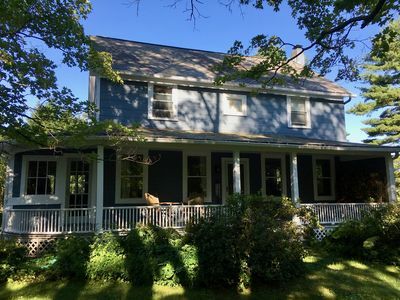 This is a perfect summer house, located nine miles east of Great Barrington. 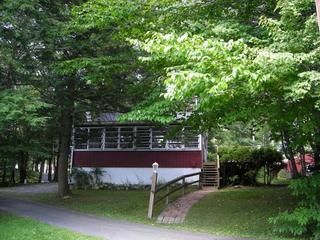 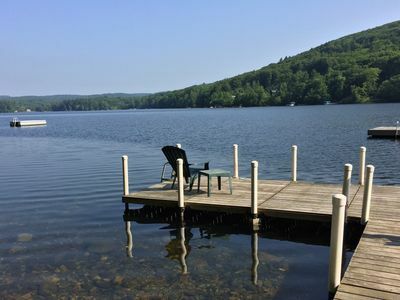 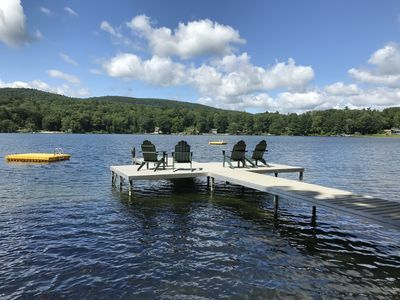 The house is a mile from the most pristine lake in the Berkshires, Lake Garfield, which has a sand beach and lifeguard in July and August. 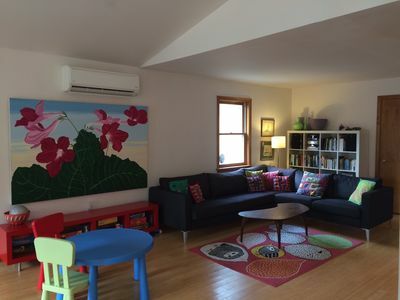 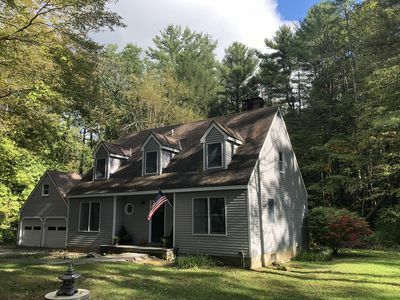 This home is 15 minutes to Lenox (Tanglewood, Berkshire Theatre Festival, Jacob's Pillow) and many other cultural and children's activities. 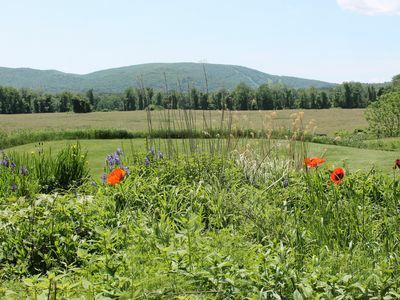 There is peace, quiet and beauty in this four acre property. 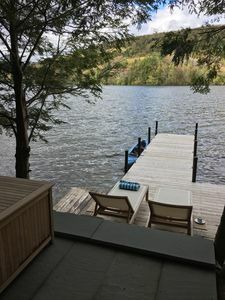 There is satellite for TV and high speed internet connections. 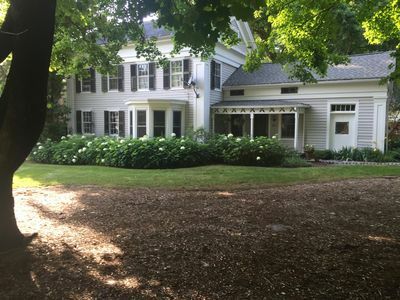 Classic charm and comfort in this private, renovated home.